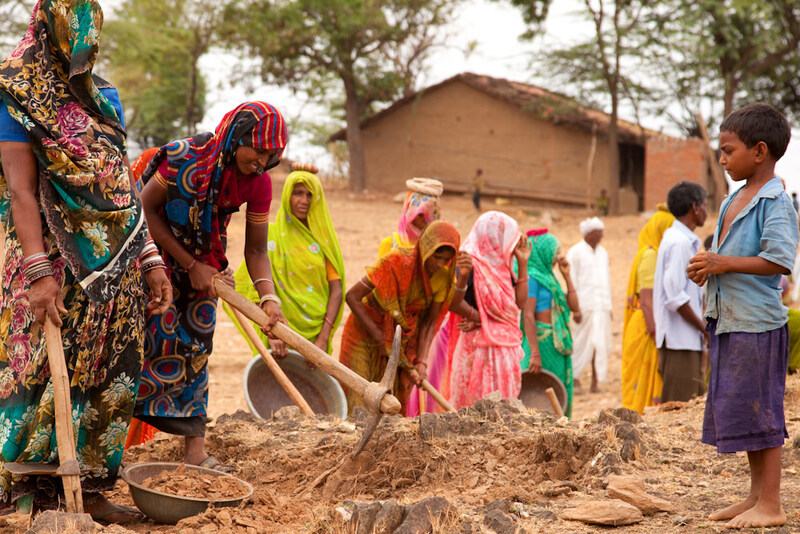 The MGNREGA website used to be something of a gold standard on information dissemination. But not anymore. Sanjay Sahni is an anti-corruption activist from Muzaffarpur, Bihar. Formally educated only till Class 5, he used to work as an electrician in Delhi until 2012. He came across the Mahatma Gandhi National Rural Employment Guarantee Act (MGNREGA) website by chance, and after several hours of navigating through the complicated web pages, he saw that his name – along with several others from his village who had either died or migrated – was on muster rolls. As per official records, he was employed and being paid much more than what he was actually earning. Five years later, in 2018, after a lot of struggle, several public protests and even being jailed for speaking against the powers that be, his village and the work of his organisation (Samaj Parivartan Shakti Sangathan) has become an inspiration on how to fight corruption and demand that rights be granted. At the root of this local empowerment is the fact that the MGNREGA has been a pioneer in implementing the idea of ‘Digital India’, long before the phrase was articulated. Lists of job card, recording the demand for work, every muster roll (work attendance sheets), the payment process – every aspect is digitised and is online in real time. Papers don’t need to move from one office to the other. Indeed, digitisation is required given the scale and spread of the programme. Almost all the 2.6 lakh gram panchayats in our country are generating employment, and payments have to be made into bank accounts of workers within 15 days. Along with the digitisation of sub-processes, the information generated is enshrined in the website for the MGNREGA and processed as ‘reports’ generated by the Management Information System (MIS). Each bit of data related to every rupee spent on every work project can be examined via the website, opening up the entire programme to strict public vigilance and monitoring. Of course, a website is certainly not enough to bring about true transparency. It needs to be accompanied by many other measures, such as government-run information and facilitation centres where one can go ask for help to look up or fill required documents. There is also a need for the digitisation platforms to be constantly reviewed in a transparent and consultative manner, along the lines of disclosure mandated under the Right to Information Act. In this context, it is useful to examine how much the MGNREGA and its website have gained after the introduction of Digital India. Despite the rhetoric that ‘Digital India’ is an empowering force, three retrograde measures have been implemented over the past couple of years. These relate to the online filing of demand via the ‘Workers Module’, obfuscations in wage payments and the increasing arbitrariness and complexity of the website. With the intent to make the website more accessible, the government had introduced a ‘workers’ tab on the MGNREGA website. By just entering their job card or Aadhaar number, any worker can see all the information relevant to them like the number of days worked and payment due, and they can also file an online application to demand work. With colour coding and even audio clips for each option, it was designed keeping in mind the requirements of the working class. It required very little computer literacy and only a basic understanding of the website. It was a manifestation of a ‘janata’ or people’s information system. Ironically, since the Digital India campaign began, this section, used extensively in the past, has been dysfunctional. Despite repeated complaints to the government of Rajasthan and India, there has been no effort to restore it and truly make it work. Working on the ground, one of the most common complaints we get from people is the delay in their wages. Apart from funds not being released in time, a major reason for this is that payments are often made into the wrong bank account. It is almost impossible to correct this, without full and complete information on the payment process. Until a few months ago, this could be traced by anyone from the website and the money recovered immediately. Now, only the details of whether a payment has been made or not is displayed, and crucial information to trace the account where the money has gone remains a mystery even to the beneficiary. This is a major problem, as people have been forced to open multiple accounts for various schemes and are unclear of where they have been “seeded” and where their wages have been deposited. Any unscrupulous person with access to the data entry system can seed his account details and siphon off the money. Workers will have to go from pillar to post in search of their payments. There has been a tragic/comical hide-and-seek game with information – especially once it starts getting used by people, to put pressure on the government. Uncomfortable aspects such as the “reasons” for arbitrarily rejecting payment of legal compensation for delays in wages were randomly taken off the website for a while. Data on unemployment allowances could have been easily compiled, but it isn’t, perhaps because it would embarrass the government; currently the data is only available gram panchayat wise. The website, which many of us have called the “gold standard” on displaying information, is very rich in content, but because of being poorly organised and presented, it is actually very difficult for an ordinary person to negotiate, and extract the information they want. There is clearly a lack of intent in furthering the cause of empowerment of the citizen in the Digital India programme. Red-tapism, which our prime minister claimed was gone from India at the recently-held World Economic Forum, is in fact slowly engulfing the website in terms of controls imposed from Delhi. Workers are facing arbitrary checks and limits on the work allocated, many find it difficult to get their names on the muster roll after completing 80 days of work, or an inability to find out where their wages went because of the MIS and its digital fiats. Data are being removed from it, and there seems to be no enthusiasm to seek feedback in opening it up further and providing better service. The motto “power to empower” rings hollows. The Ministry of Rural Development and the government should be much more consultative in the design of its digital architecture. They should hold regular consultations and hackathons, and take suggestions for turning the MIS into a “Janata Information System” in order to improve it in every way possible. Digital India needs to be redesigned from the perspective of the working class and the ordinary citizen, not just in the MGNREGA, but also in every other scheme that the government runs in the name of the people of this country. The problem is not capacity – it is intent. Nikhil Shenoy is a social activist with the Mazdoor Kisan Shakti Sangathan.